Lord knows I love me some highlighter, particularly in these glorious (not!) summer months. Having been a long time fan of Becca Cosmetic's Shimmering Skin Perfector in Moonstone, when I heard that Becca Cosmetics were collaborating were Youtube beauty guru heavyweight Mrs Jaclyn Hill, I was SO excited. I really like Jaclyn, she's can be as mad as a box of frogs in her videos but she knows her stuff about makeup and even though she seems to be collaborating left right and center these days (Morphe Brushes, Gerard Cosmetics, Makeup Geek), I think she is trustworthy and I don't think she would put her name on just anything (Gerard Cosmetics must have been a blip in judgement). Anyways, no matter how much I enjoy watching Jaclyn, there is no way I would buy something just because it's celebrity endorsed if I didn't feel that I would absolutely love it. When I saw the first swatches of 'Champagne Pop' on her Twitter, I just knew there and then that it would be mine. Now unforch for us on this side of the Atlantic, Champagne Pop is exclusive to Sephora which means we cannot get it here in Ireland easily particularly given the issues with international ordering from the Sephora website which have come to light in the last few weeks) but where there is a will, there is a way. Whereas Champagne Pop does come in a beautiful rose gold box as opposed to the dark grey of the normal line, there is no other way of differentiating the packaging from any of the other Becca Cosmetics Shimmering Skin Perfectors from the packaging alone. It's the same UFO shaped compact but the sticker on the blog will differentiate your collection. When I saw the colour in the pan first, I was worried that it would pull too orange on my skin but this is an extremely shimmery highlighter and a little goes a long way so I really wouldn't worry yourself too much about that if you think it looks a little crazy in the pan. It's hard to describe the colour- it's kind of like a light gold with peachy/pinky undertones that leans a little warmer than my other Shimmering Skin Perfector in Moonstone. Whereas Moonstone is brighter, Champagne Pop is more shimmery and the actual shimmers are a little chunky, which means you need to be careful with application. This highlighter has such amazing colour payoff that you will need to be very very careful when applying if you are someone who likes a more subtle highlight. It is so soft, it almost feels like a cream product instead of a powder. All in all, I've been thoroughly enjoying Champagne Pop since I got it and I'm glad I have it. I personally prefer it more to Moonstone at this moment in time, something about the shade of Champagne Pop just tickles me. If you were planning on picking this up, I would do so asap because it is not going to be around forever sadly. Have you been lured by Champagne Pop or are you not swayed by the hype? Let me know below what highlights you have been loving in recent times! It is gorgeous, I want this SO bad...it's on my "I need this NOW list" ;) Thanks for sharing! It's gorgeous on you, I'm so glad I went for it, haven't used any other highlighter since! This highlighter is so pretty !!! 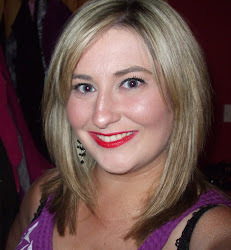 Gorgeous on you and I have to say I love your eye makeup, lovely Aisling! I just got the pressed Opal and it too enhances skin texture. I have acne scars so I was a bit let down. Out of the many raves and reviews I read about Opal not one person mentioned this issue. I've had my eye on Champagne Pop but if it has the same issue I'm going to pass on this one! Thanks for the honest review!